A large wood fireplace with a spectacular view, and efficiency too! 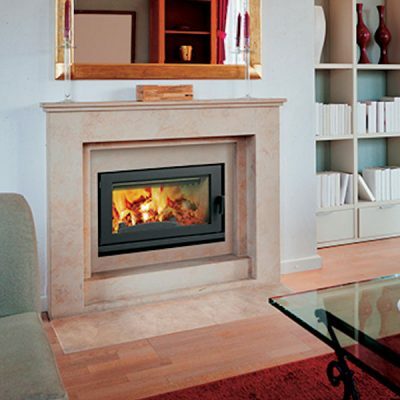 Renaissance has brought open fireplaces into the 21st century. Imagine a clean burning , decorative wood fireplace, with emissions so low that there is no visible smoke within two minutes of lighting the fire! 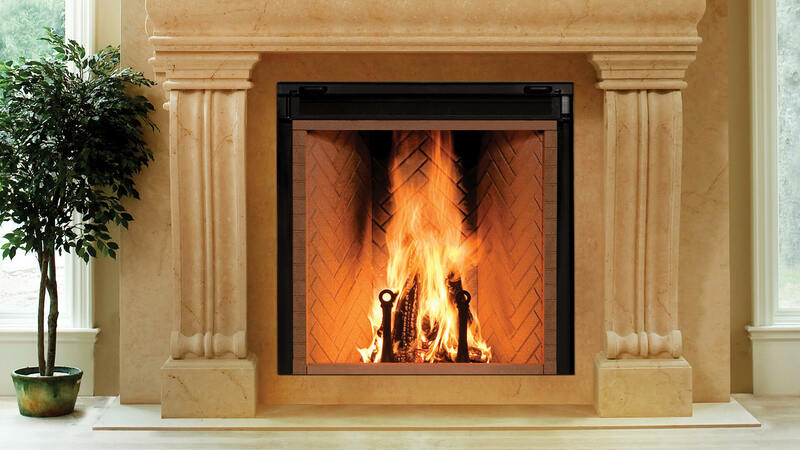 The Renaissance Rumford Fireplace was the world’s first certified open-door clean-burning wood fireplace. The design is taken from a true Rumford Fireplace, designed in the 1790’s by Sir Benjamin Thompson, Count Rumford, an Anglo-American physicist best known for his investigations of heat, making it much taller than a traditional wood burning fireplace. 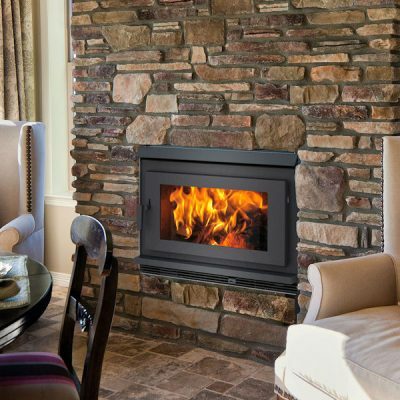 The shape of a Rumford fireplace is renowned for an unparalleled level of performance. 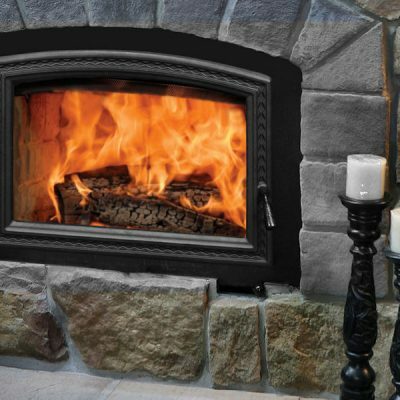 The patented Rumford design has taken the traditional elements of the original Rumford fireplace to the next level thanks to modern engineering, precision manufacturing, and quality materials. True Rumford fireplaces have a very specific shape. Features include a shallow firebox, angled sides, and a curved throat. The curved throat section of the Rumford Fireplace creates laminar airflow into the chimney flue. This also reduces air turbulence in the firebox for a cleaner burn. The results are a strong draft, easy lighting, and no smoke in the home. The Renaissance Rumford is the only large wood fireplace in history to win an award from the Environmental Protection Agency. 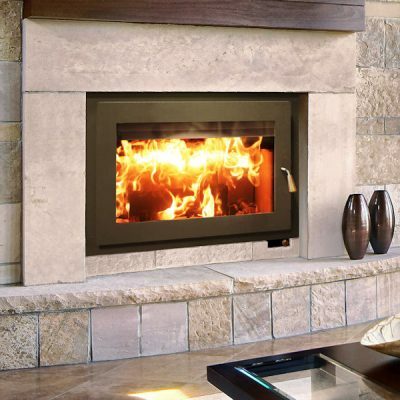 (EPA) It has also earned itself design awards from the International Interior Design Expo (IIDEX) and its patented fireplace design has received innovation awards from the fireplace industry (Vesta).